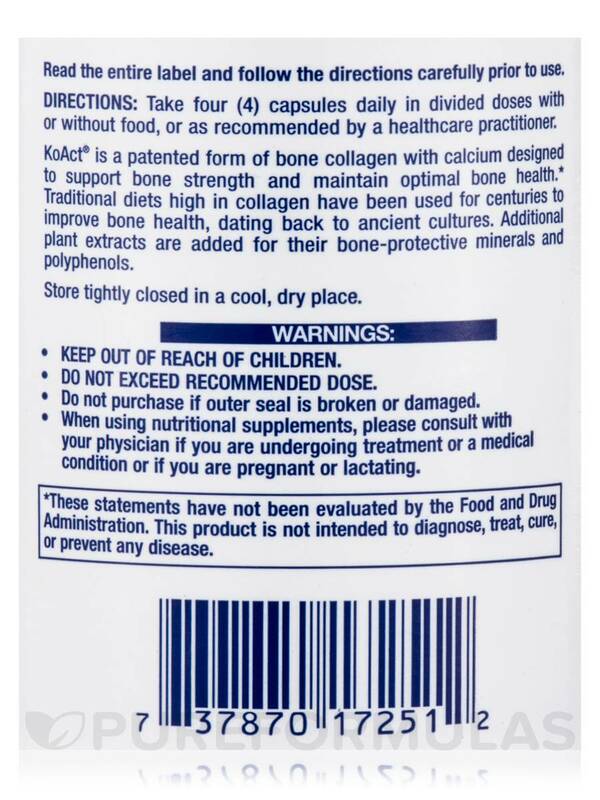 Bone Strength Formula with KoAct is a great product. 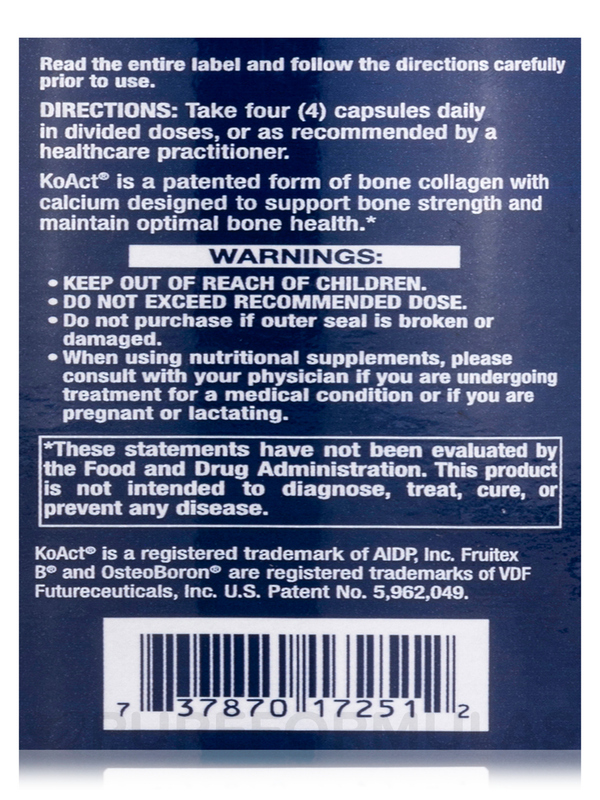 Provide calcium and collagen to your body and improve bone strength and flexibility with Bone Strength Formula with KoAct® Capsules from Life Extension®. 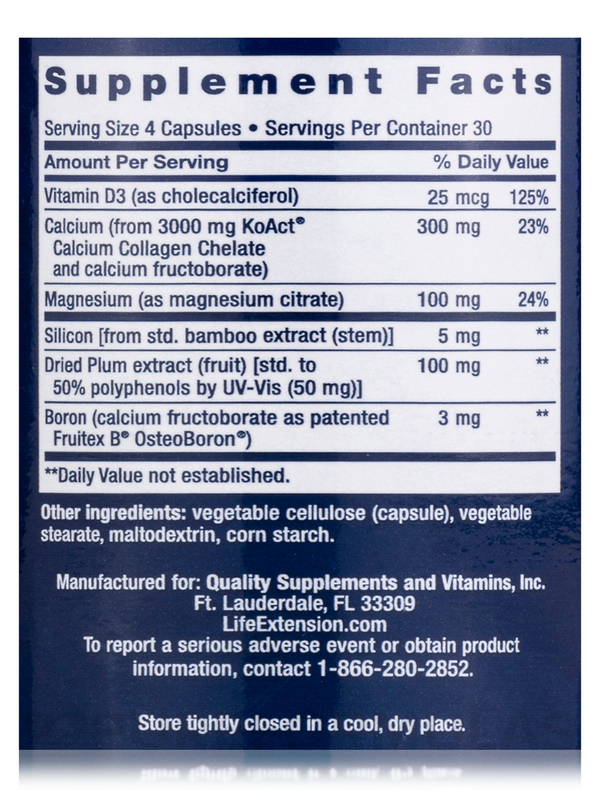 This dietary supplement may provide you with important minerals and polyphenols to protect and support bone health. Dried plum extract reportedly provides antioxidant protection to the cells of your body and supports cardiovascular health. It may also ease joint pain and bone conditions. Dried plum is a good source of vitamin A and vitamin K that support bone formation and fortifies them. Calcium could improve collagen support and bone strength and density. It may also reduce the risk of fractures and protect your body from degenerative conditions. Calcium may promote nerve function and muscle contractions. 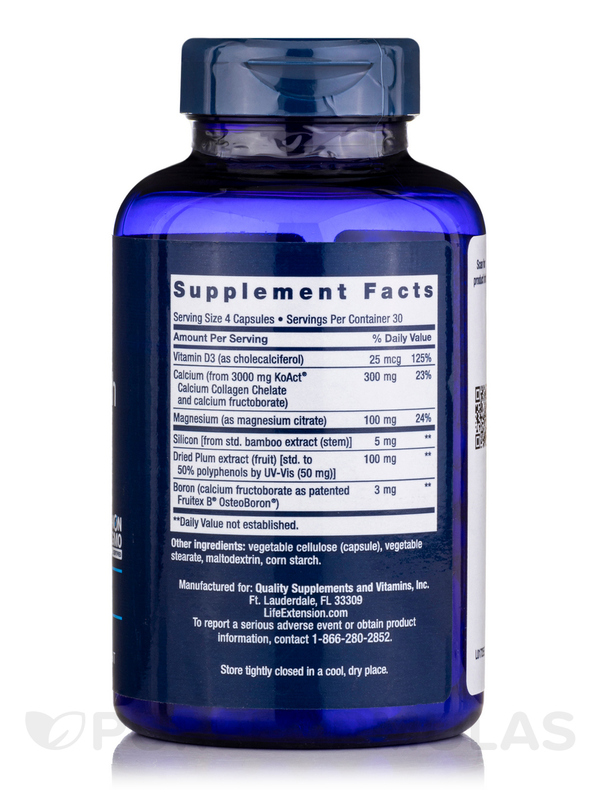 Magnesium as magnesium citrate in this dietary supplement from Life Extension® may relax your body and muscles. It may relieve leg cramps‚ support cellular energy production‚ and improve bone health. Vitamin D3 reportedly improves the absorption of calcium and phosphorus in your body to keep your bones strong. 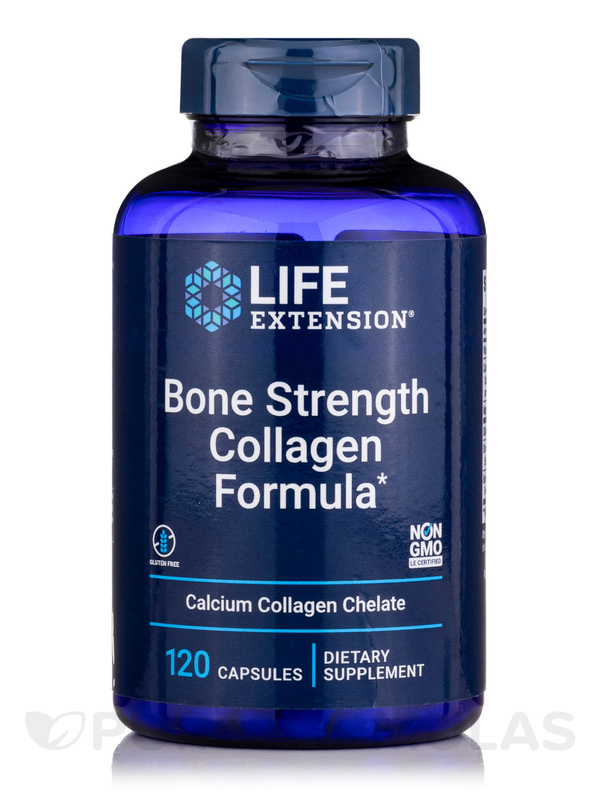 Cholecalciferol in Bone Strength Formula with KoAct® Capsules from Life Extension® may also support normal bone growth and prevent bone loss. 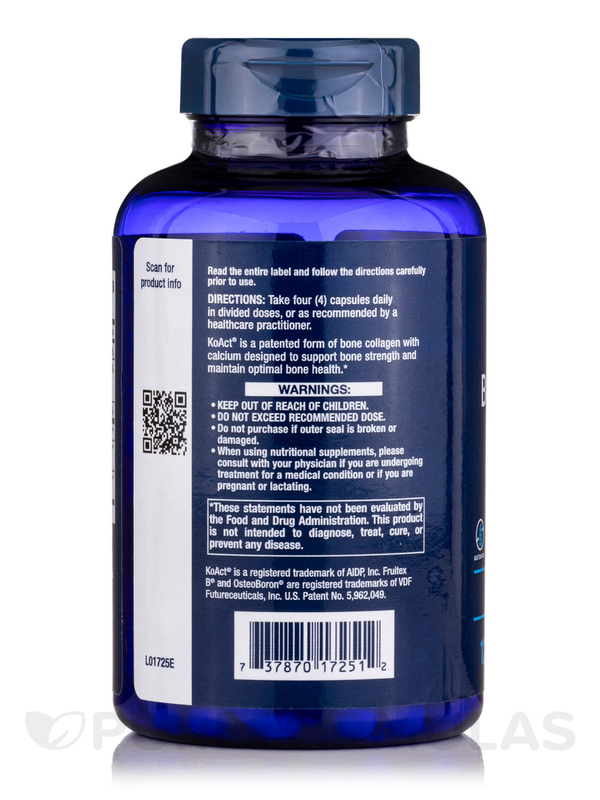 Take four (4) capsules daily in divided doses with or without food‚ or as recommended by a healthcare practitioner. When using nutritional supplements‚ please consult with your physician if you are undergoing treatment or a medical condition or if you are pregnant or lactating.